DELHI – According to a new report from the Europe India Chamber of Commerce (EICC), India will remain an increasingly popular destination for European companies and investors despite persistent shortcomings in the country’s legal and intellectual property rights (IPR) regimes. 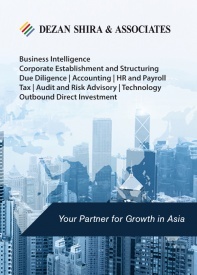 Entitled “European Companies in India: Reigniting Economic Growth,” the new report explores the experiences of high value European companies operating in India and highlights the potential for growth in several key industries and sectors. European investment in India totaled nearly US$200 billion between 2004 and 2013, with Britain, France and Germany accounting for more than 60 percent of that total. Britain injected more than US$70 billion in FDI, 35 percent of Europe’s total, in India during that period, followed by Germany (US$34.47 billion) and France (US$22.64 billion). During the same period, U.S. and Japanese firms only invested US$138 billion and US$50.7 billion, respectively. A key theme of the report focuses on the need for patience when investing in India, and the importance of playing the ‘long game’ rather than expecting noticeable short-term gains. “The global headquarters should not expect their India units to rake in profits every quarter. Companies that invest in India need to have a lot of patience and deep pockets to sustain cash flow uncertainties. They should focus on the potential and not the short-term challenges,” commented Adith Charlie, research head at EICC. According to the report, a key challenge for many European companies operating in India remains the country’s weak intellectual property rights (IPR) regime and inconsistent legal system. “India must sort out some contours of its IPR regime. The legal system must be fast-tracked and the use of compulsory licensing (CL) for essential pharmaceutical drugs must be the exception and not the norm. 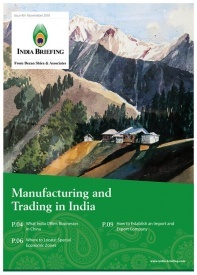 Many EU companies find out that the actual market scenario in India is distinctly different from their original understanding,” the report stated. 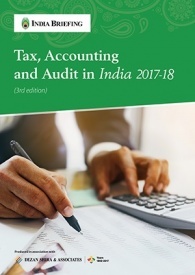 High-profile legal battles between the Indian government and European companies such as Nokia and Vodafone over taxation and manufacturing have cast doubt upon the integrity of the county’s legal and tax system in recent years. IPR protection also remains a major concern for European firms after the Indian patent office’s decision to grant India-based Natco Pharma Ltd. a compulsory license to manufacture and sell Bayer AG’s patented cancer treatment drug Nexavar in March 2012 – a move that triggered a wave of panic among pharmaceutical companies with operations in the country. “While India has all the right ingredients to thrive, many obstacles remain and, unless these are addressed urgently with all seriousness, India risks losing out to other emerging countries. 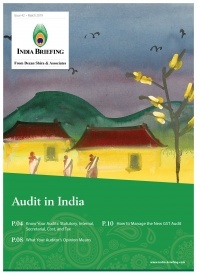 Investors have been deterred by the poor investment climate in India and vexing tax issues,” Prasad emphasized. 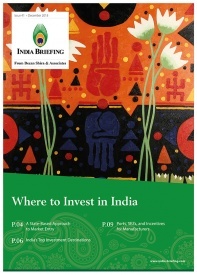 Despite several challenges facing European investors in India, domestic market growth potential, India’s proximity to booming markets and consumers and the nation’s skilled workforce were cited among three key reasons to consider future investment. Funded by the EU European Business and Technology Centre (EBTC), the full EICC report is now available for download on the EBTC’s website.